There has been a lot of heat and rhetoric about how social platforms have gained leverage over news publishers, deciding at the whim of an algorithm change what the world considers newsworthy. That our democracy is in peril at the hands of faceless coders. But it’s not as simple as that. Yes, platforms such as Facebook, Snapchat and Twitter have gained more power in the digital media ecosystem, and yes, publishers are trying to find new users on these platforms. But there’s also a lot that is working out on both sides, a lot of publishers who have made strides and are reaching more people on social while building strong relationships with platforms. 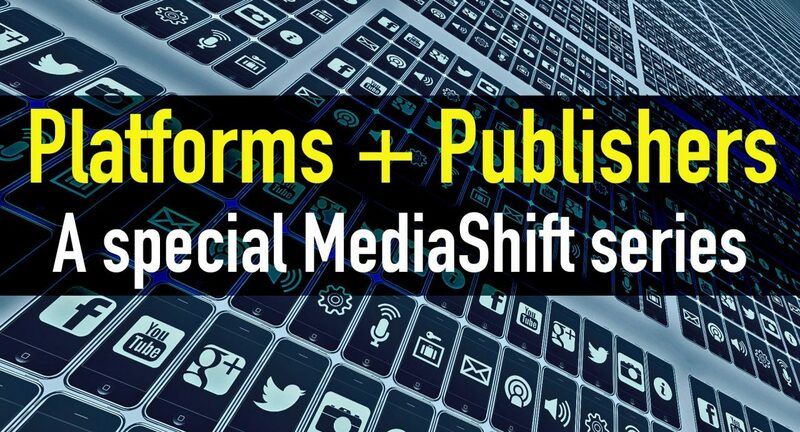 Last May, MediaShift convened a private roundtable at Bloomberg, “Platforms + Publishers,” including major platforms and publishers of all sizes (large, medium, small, non-profit, public media) with funding from foundations. The goal was to get beyond the rhetoric and start to collaborate and open the lines of communications. One of the follow-ups from that roundtable was to create this series, because one of the needs identified was more best practices on how publishers were succeeding in the new world of Facebook Live, Snapchat Stories, Twitter Moments and beyond. We’ll continue to publish these types of stories on MediaShift, while also planning related online DigitalEd trainings for the fall — and more private gatherings to continue building trust. Mark Glaser is executive editor and publisher of MediaShift. He is an award-winning writer and accidental entrepreneur, who has taken MediaShift from a one-person blog to a growing media company with events such as Collab/Space workshops and weekend hackathons; the weekly MediaShift Podcast; and DigitalEd online trainings in partnership with top journalism schools. You can follow him on Twitter @mediatwit.